Welcome to Pick Me Car Keys Adelaide help page for Suzuki Car Key Replacement. We have put together some information to try and help you if you have lost your Suzuki keys or if you require a spare key cut for your Suzuki. We can provide replacement keys for Suzuki Swift, Alto, SX4, Ignis, Liana, Grand Vitara and most Suzuki models. Pick Me Car Locksmith Adelaide are fully mobile and equipped to cut and program car keys and remotes on site saving you time and money. Suzuki vehicles have come a long way since they were first Introduced to the Australian car market. They are now amongst the most advanced and sophisticated vehicles driving on our roads today. If your Suzuki was made after 2000 there is a very strong chance that it has a factory immobiliser or “transponder” system built into it. The vehicles security system is designed to stop your car from being hot wired and easily stolen. Regardless of wether you have a remote on your key or not your key has a chip inside it that has information that your car needs to start. Pick Me Car Locksmith Adelaide have spent many years making keys to all models of Suzuki including Swift, Vitara, Alto and Baleno. We can come to your car and cut spare or new keys quickly and easily with our fully equipped mobile workshop. 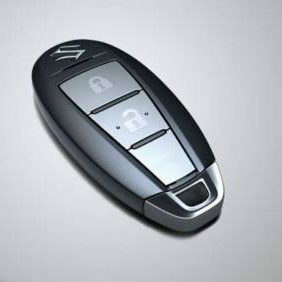 CLICK HERE TO GET A SUZUKI CAR KEY QUOTE NOW !